Bay Area music made a strong showing in 2018. The arts are subtle but solid, a rock we can cling to despite a year when divisive voices and dire predictions roiled our society. Pointing the way through political differences, music is an art form of discourse, a place where every voice matters, where each of us tries to speak our truth in beauty and in harmony. That strong showing is not so surprising when one recalls that small lights burn brighter in the gloom. The Berkeley Symphony had to up its game for a series of guest conductors and the beginning of a search for their new Artistic Director. This was a year of hope and agility, with hard-working musicians and a supportive board and community, resulting in three memorable triumphs in 2018 under three very different conductors. On February 1 Keitaro Harada delivered a program of Berlioz and Fauré and Getty, inspiring luminous French harmonies from the musicians and leading a remarkable chorus. From Berlioz’ fevered Symphonie Fantastique to Getty’s homage to Joan of Arc, this was a genuine pot-boiler. Then on April 19 Ken-David Mazur led the Berkeley Symphony in a spectacle! Zellerbach Hall was sold out for the performance of Beethoven’s Symphony No. 9 with hundreds of singers squeezed onto the stage for the final chorus. Conducted with conviction and grace, Beethoven’s last symphony was electric, and his immortal Ode to Joy became a prayer for our own time: Alle Menschen werden Brüder, Beethoven reminded us. Let all people become brothers. And on October 4 Ming Luke conducted an inspiring program of modern works, with Benjamin Beilman as soloist in Jennifer Higdon’s Violin Concerto. That wild ride was paired with Anna Clyne’s dark and disturbing Night Ferry, and then followed by Ravel’s bitter take on the waltz form. These were deep waters, solidly conducted. 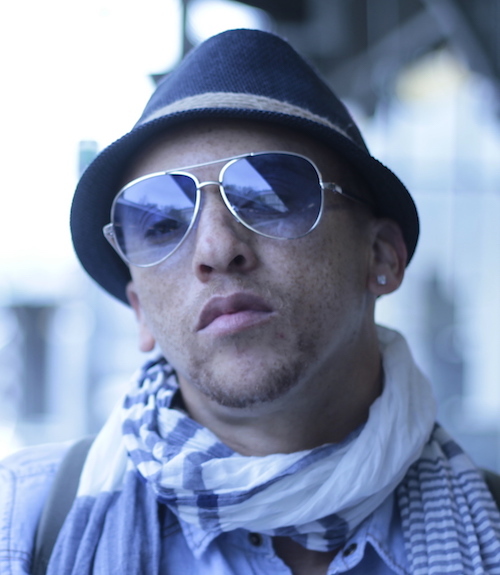 Kev Choice performed with the Oakland Symphony; photo courtesy of the artist. While Morgan regularly creates programs that reach out to different communities in the Bay Area, he also creates bridges to different musical genres, and on March 23 he led the Oakland Symphony in “Rooted in Oakland.” That program included hip-hop artist Kev Choice, and they had 2000 audience members clapping to the beat. Along with community-inclusive programming (and their huge outreach to the schools) that creation of roots was in evidence at their recent November 16 concert, when they mourned with the people of Oakland. At that concert Morgan led the World Premiere of Richard Marriott’s Ghost Ship Concerto for Cello and Orchestra, along with Brahms’ German Requiem. This was a requiem for the 36 people, many of them musicians, who died in Oakland’s Ghost Ship fire. Besides Berkeley’s heart and Oakland’s soul must be added the adventurous and community-minded offerings from the Piedmont Center for the Arts. That spirit of community could be heard at the Center earlier this month on Dec. 2, when 92-year-old violinist (and Piedmont resident) Stuart Canin performed Mozart and Dohnanyi with violist Dmitri Murrath and cellist Angela Lee. The former principal violinist of the LA Opera and founder of the New Century Chamber Orchestra, Canin was said to have played with humor and gusto. I was fortunate to get to hear Mathew Szemela and Eric Price and “Vitamin Em” on March 11, where they intertwined Vivaldi’s Four Seasons with modern electronics and even some improvised material. That concert was joyous, and Em returned on Sept 23 for another program. 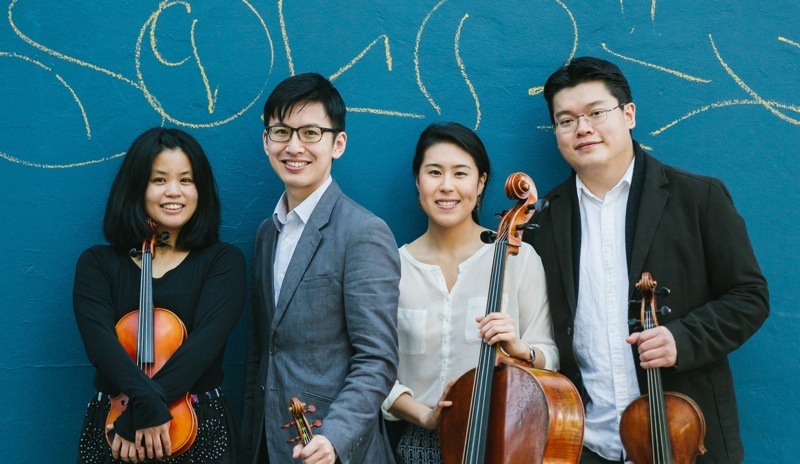 But the heart of the busy programming was the return of the Piedmont Chamber Music Festival in three world-class concerts led by pianist Juliana Han and violinist Wayne Lee and the Formosa Quartet. On August 5 their third program, “Prayers and Celebrations,” delivered artistry, passion and humor. Those three concerts were also a highlight for Piedmont. Branching out into the larger community were three more works that totally rocked this year. Cal Performances is the Big Dog of Programming for the East Bay and among their many, many fine programs was a February 4 opera/dance fusion. The Australian circus troupe Circa performed Il ritorno d’Ulisse in patria, and created a magical elixir of bodies and arias and harpsichord and electronics that enchanted an audience. What was also remarkable about that work was its social underpinnings, turning our thoughts to the 65 million people who have been displaced by today’s wars. 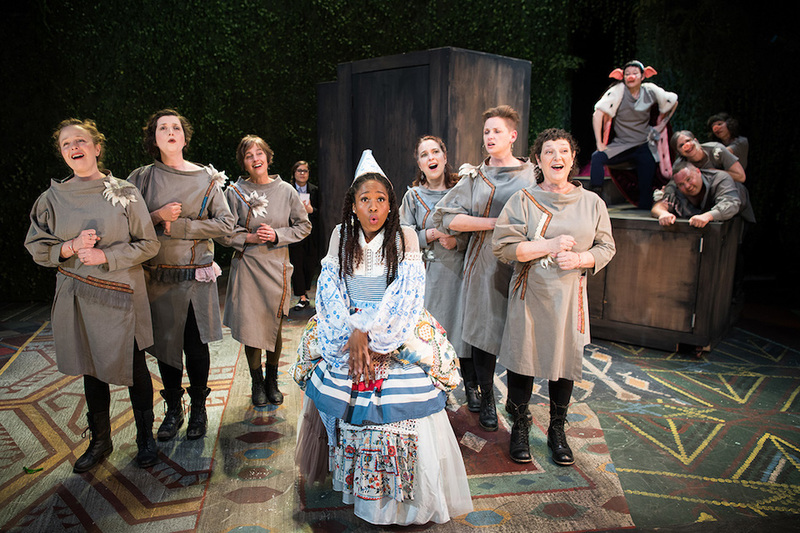 Created by composer Janet Kutulas, playwright Michelle Carter and director Erika Chong Shuch, this fusion of ancient harmonies and modern theater was mythic. 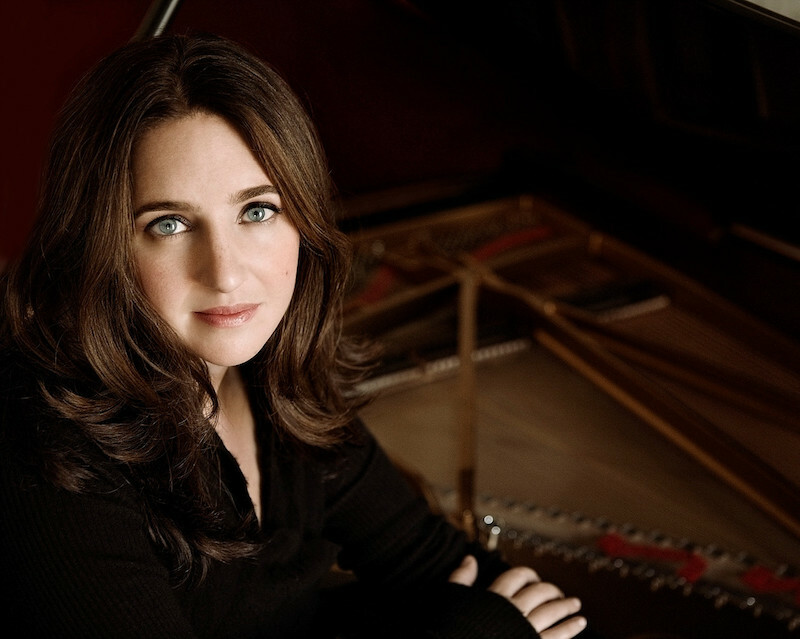 And lastly, on May 17 pianist Simone Dinnerstein performed the World Premiere of Philip Glass’ Piano Concerto No. 3 with the New Century Chamber Orchestra. Forceful and whimsical, impressionistic and introspective, this work had a slowly shifting architecture, an almost planetary precession of busy sixteenths with moments of thunder and resolutions that stopped one’s breath. Simone Dinnerstein performed in Berkeley with the New Century, photo by Lisa Marie Mazzucco. Written for his own 80th birthday, this work of passion and faith may one day join the great Requiems of history. Like the stars of mariners, the arts can be our compass to the shores of balance, perspective, harmony and framing. Strange to say, this was a good year. 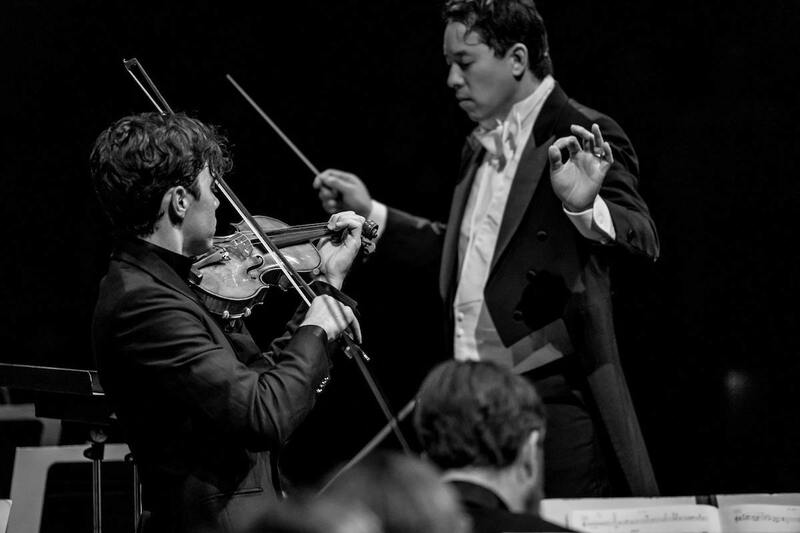 Photos, from top: Ming Luke with the Berkeley Symphony; Kev Choice performs with Michael Morgan and the Oakland Symphony; Formosa Quartet in Piedmont; Circa at Cal Performances; Kitka in Iron Shoes; Simone Dinnerstein with the New Century Chamber Orchestra.